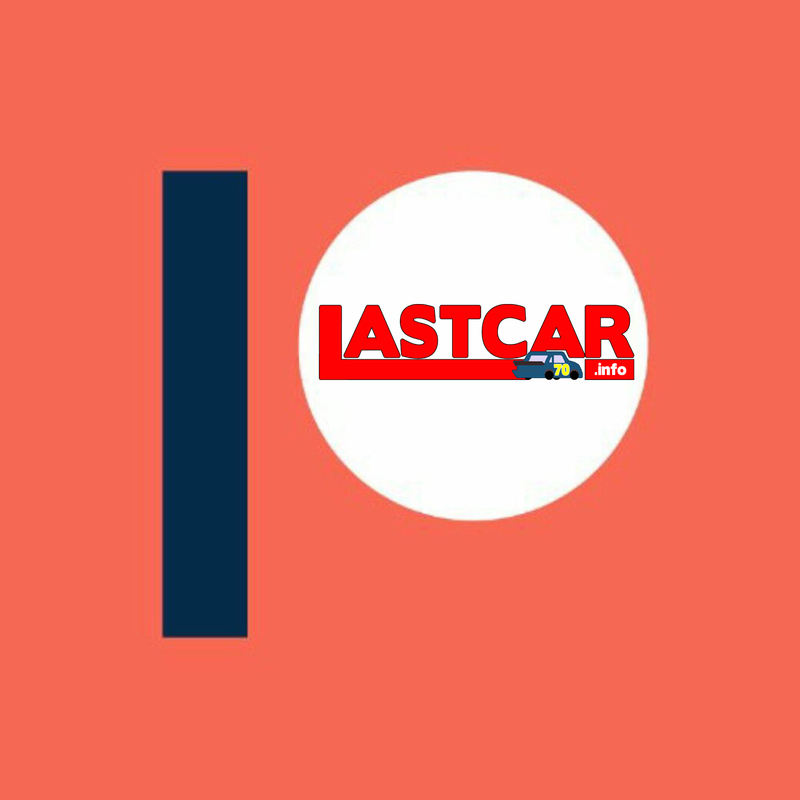 Something a little different these next two weeks on LASTCAR Throwback Thursday. As we reported on Twitter earlier this summer, car #07 has the fewest last-place finishes of any number in NASCAR Cup Series history (between the currently available 0 through 09). 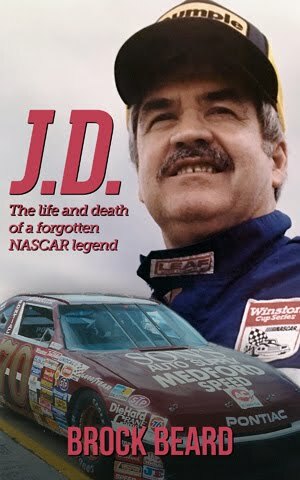 In fact, the #07 (along with the #86, which has 16 last-place finishes) stand as the only two numbers to have not finished last in NASCAR’s modern era (since 1972). Today and next Thursday, we profile the only two drivers to ever finish last in #07 – the only last-place finishes of two brief careers. On March 7, 1965, Danny Byrd picked up the 1st last-place finish of his NASCAR Grand National Series career in the Richmond 250 at the Atlantic Rural Fairgrounds when his #07 Walt Hickey Ford 1964 Ford fell out with handling troubles after 1 of 250 laps. The finish came in Byrd’s 3rd series start. Born in Dearborn, Michigan, Danny Byrd caught the racing bug watching a USAC race at the Detroit Fairgrounds. His driving career began in 1958, at the Flat Rock Speedway, where he drove a Hudson that wasn’t the popular Hornet model (of Marshall Teague and Herb Thomas fame). The car was built by Byrd, his brother Hubert, and friend Glen Sweet. Sweet would go on to become the listed owner of Byrd’s Cup Series entry. 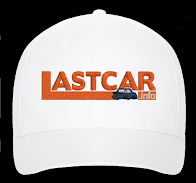 Byrd’s path to NASCAR went through the Midwest Association for Race Cars, or MARC, the regional stock car series that would become today’s ARCA Racing Series. There, Byrd transitioned from the Hudson to a Dodge and finally to Ford. It was in MARC that Byrd even raced one of the infamous Ford Edsels for several years, starting in 1962. He wheeled the Edsel to a series of MARC victories, including Flat Rock, Dixie, Spartan, Detroit Fairgrounds, Mount Clemens, and Toledo. Byrd was also part of MARC’s transition into ARCA on February 8, 1964, as the series made its first appearance at Daytona. The ARCA re-branding came at the behest of Bill France, Sr., who wanted to draw more drivers and spectators to his new track. Now suddenly a driver for a national series rather than a regional one, Danny Byrd and 23 other competitors suddenly had an opportunity to win at the nation’s biggest and fastest track. As the 250-mile race neared its halfway mark, Byrd was leading in his #08 Ford, ready to write his name in the record books. “We ran the first 125 miles without putting any fuel in the car,” said Byrd in a 2013 interview, “But in the second half of the race, the oil pressure started to flutter, and I was afraid the car was going to run out of oil.” The oil pressure issue forced an unscheduled pit stop in the final laps, handing the landmark win to Nelson Stacy. Byrd finished 6th, two laps down. The next year, on February 27, 1965, Byrd made his Grand National debut at the Piedmont Interstate Fairgrounds, a half-mile bullring in Spartanburg, South Carolina. Driving a 1963 Ford prepared by Glen Sweet, but this time with #06 on the doors, Byrd finished 14th in the 16-car field due to a blown head gasket. He then ran the following day at the paved Asheville-Weaverville Speedway, this time with car #08. This time, he impressed, charging from last in the 21-car grid to 5th, five laps down to winner Ned Jarrett. 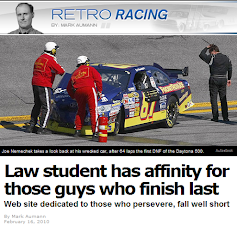 The Richmond 250 that is the subject of this article came next. The track, now known as Richmond Raceway, was then a half-mile dirt track which hosted races between 90 and 150 miles. The race distance wouldn’t be lengthened past that until the first of several reconfigurations in 1968. This time, despite the lack of a #06 or #08 in the field, Byrd campaigned his third different car number in three races – the #07. His 1964 Ford lined up 17th on the 22-car grid. In a race where Junior Johnson won from the pole, leading 175 of 250 laps, Byrd exited after just one lap, citing handling problems. Finishing 21st was North Carolina native Bob Cooper, participating in his fourth season on the tour, who had a fuel tank issue on his #61 1964 Pontiac. A little over a year after his breakthrough win, Wendell Scott started a strong 6th in his #34 1963 Ford, but the car overheated after 47 laps. Richmond native Sonny Hutchins made his return to Grand National racing that day for the first time in a decade, but the differential broke on his #90 Ford fielded by the great Junie Donlavey. Rounding out the Bottom Five was owner-driver Larry Manning, who also cited differential issues on his #8 1963 Chevrolet. Byrd made just one more Grand National start, finishing 31st of 44 in Atlanta, then ended his career after he failed to qualify for May’s Rebel 300 at Darlington. 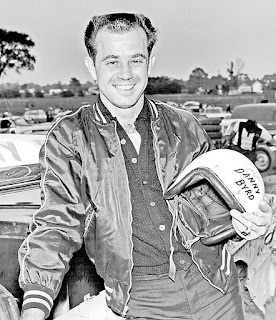 During his brief NASCAR career, Byrd remained active in ARCA and late models, and would go on to score his first of three track championships at Toledo in late 1965 (the other two came in 1973 and 1978). He would go on to have success on the short tracks through 1979. Among his accomplishments were another track championship at Flat Rock in 1973, a flag-to-flag victory in the Glass City 200, and a win at the Nashville Fairgrounds in the Marty Robbins 500. Byrd retired from racing following back injuries suffered in a highway accident, and moved to Florida. In 2003, he was inducted into the Michigan Motor Sports Hall of Fame. Be sure to check back next week, where we feature the only other driver to finish last in car #07. The Blade, February 10, 2013.